I’ve been volunteering making photos for Rain City Rock Camp all week so I have little to say other than my heart is full. I tend to feel things like a blur while I’m at summer camp but once it’s over, I miss all the good feelings. Plus do you know any other camp that has a lunchtime band? We got to listen to Mommy Long Legs, Spinster, Naomi Wachira, Skates! and Charlie and the Rays while eating/grooving. Then there was the showcase on Saturday which will take me a while to recover from. In a good way. Those songs. Here is a recipe I made on Sunday before camp. I guess it could be classified as a (not) recipe but it’s delicious so WHO CARES. Those are the best kinds. 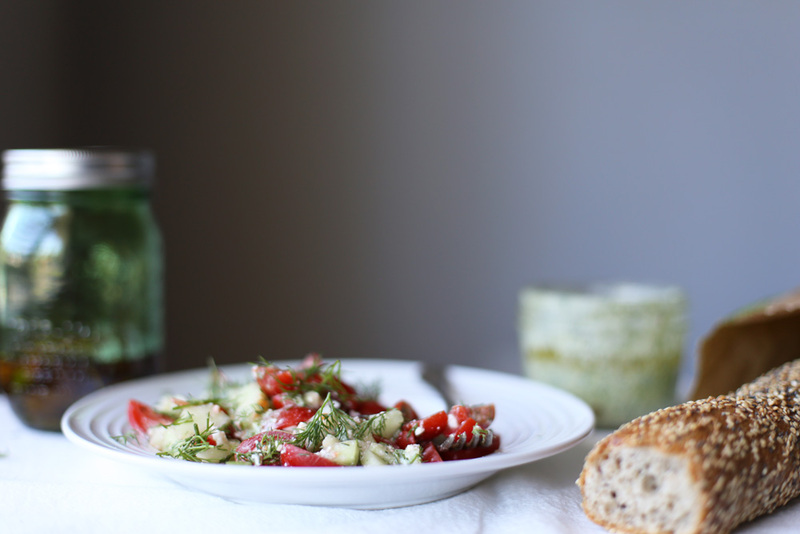 Here is a related recipe from last year, also simple and great for summer lunches….